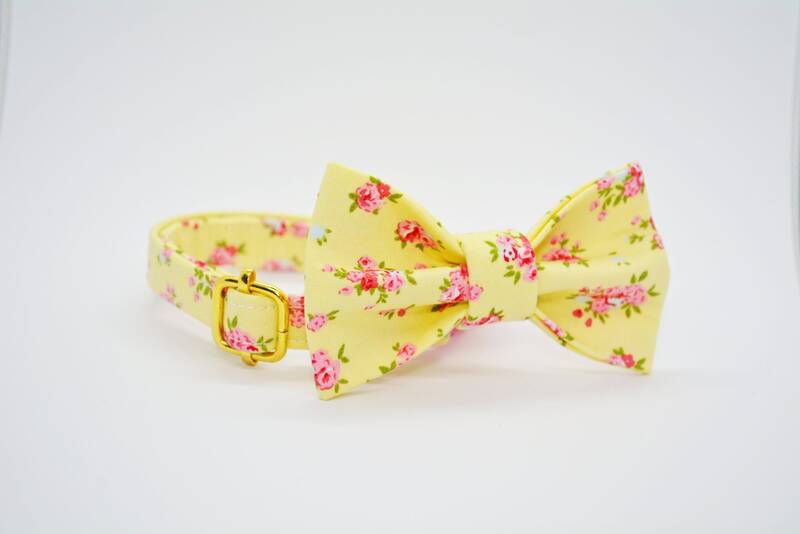 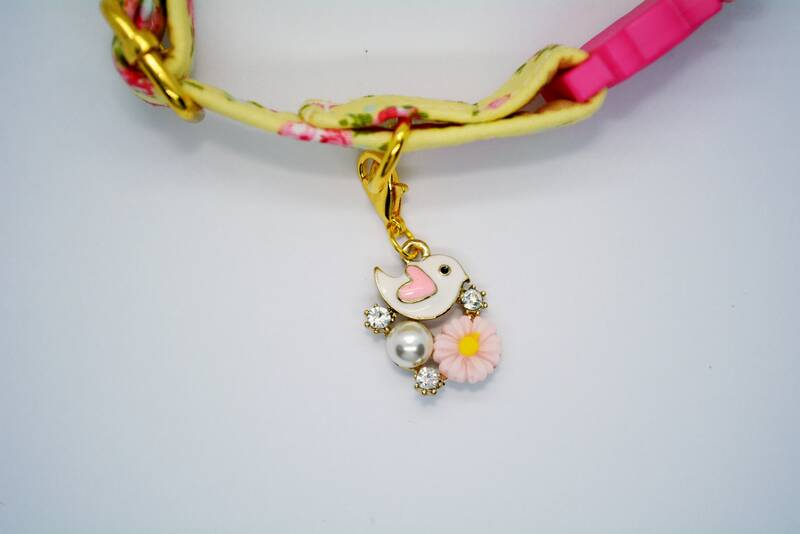 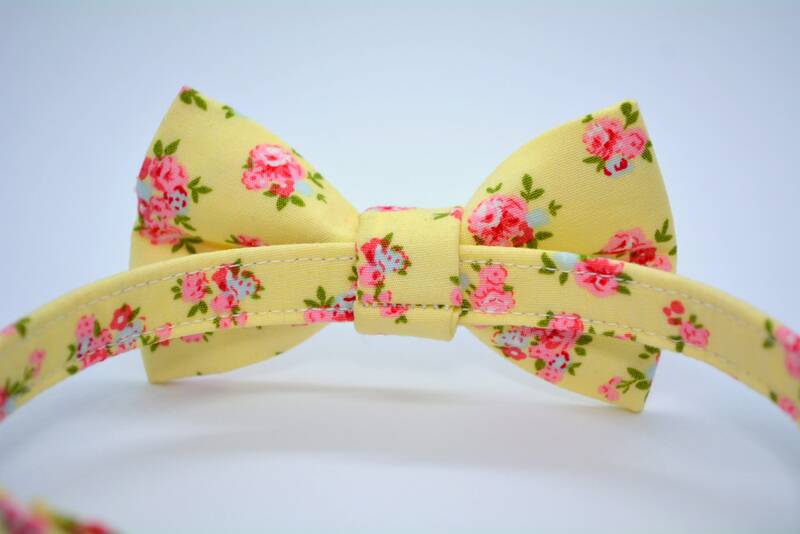 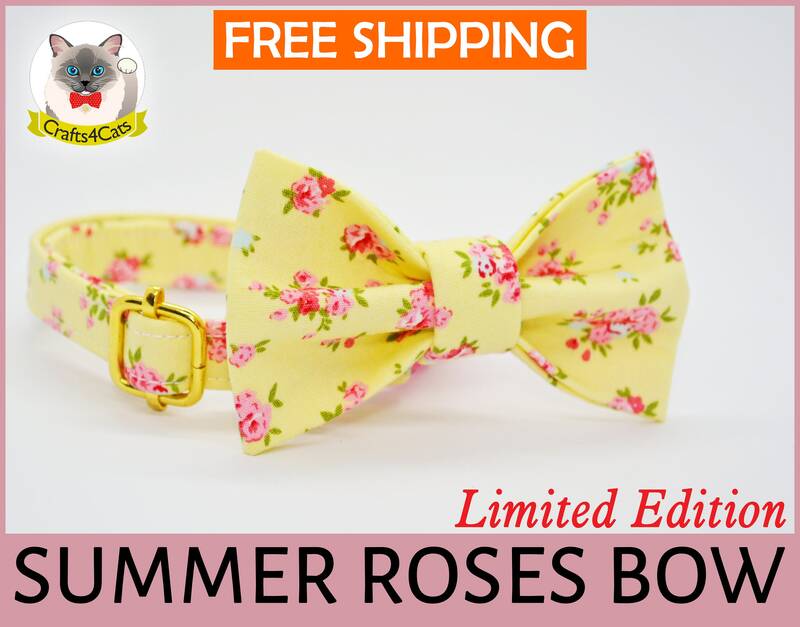 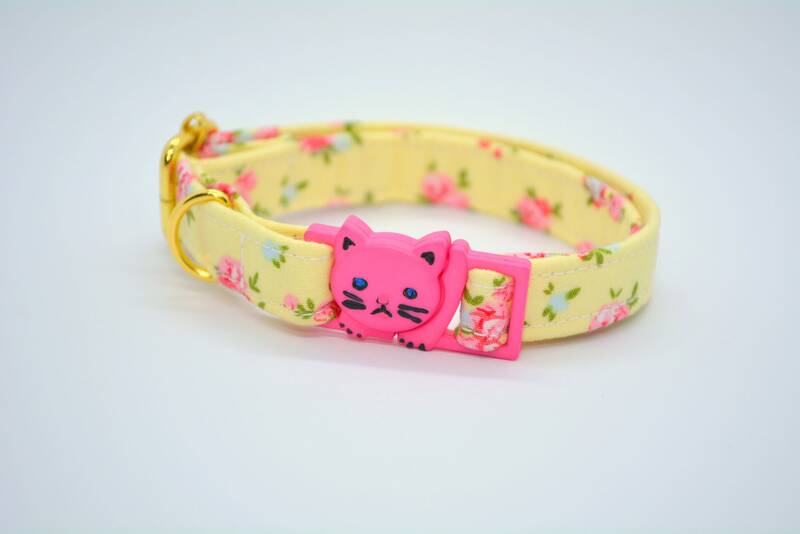 This pretty floral cat collar is perfect for summertime and other special occasions. 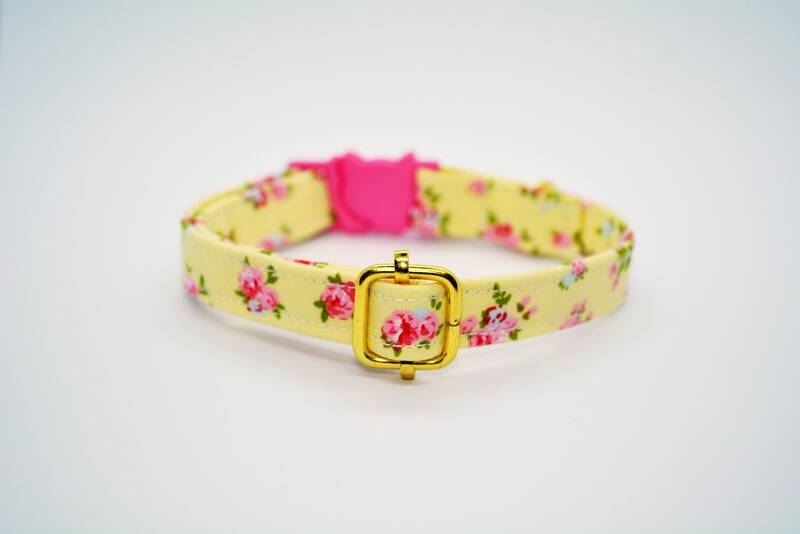 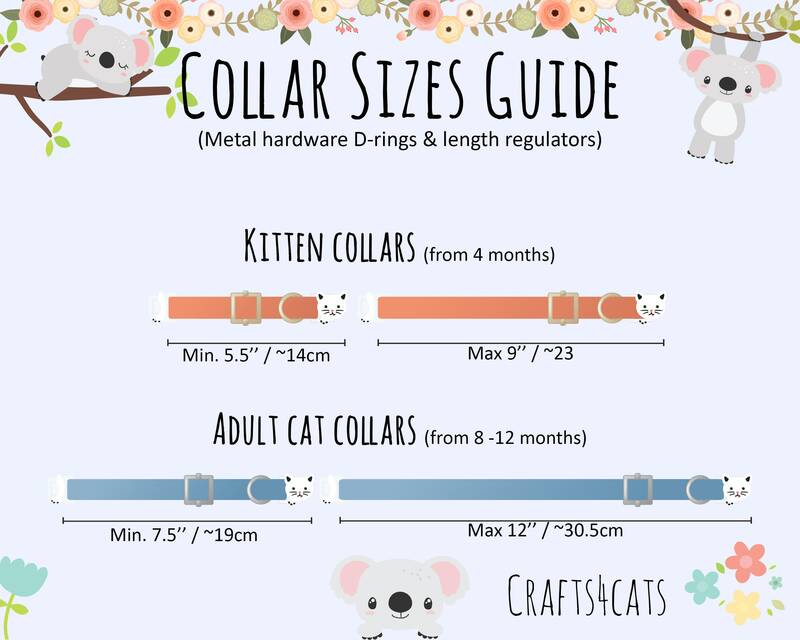 Designed from strong, yet lightweight and soft cotton fabric will fit cats and small dogs. 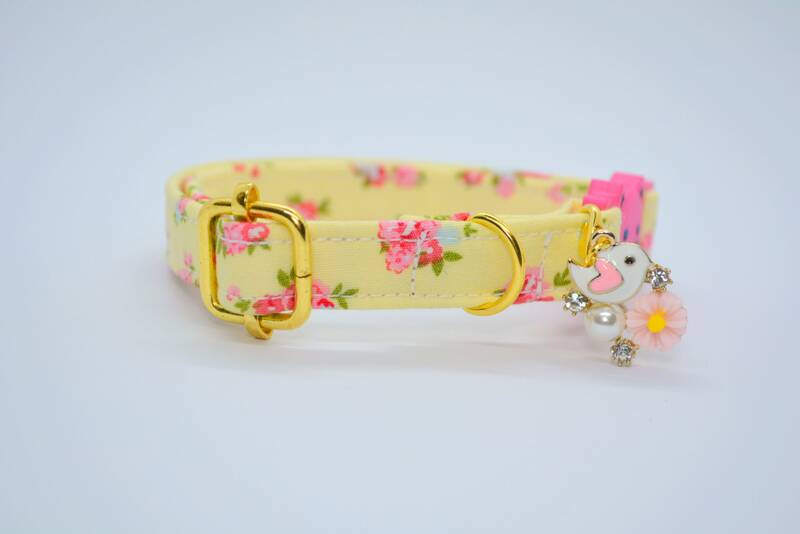 Golden colour length regulator (slider). 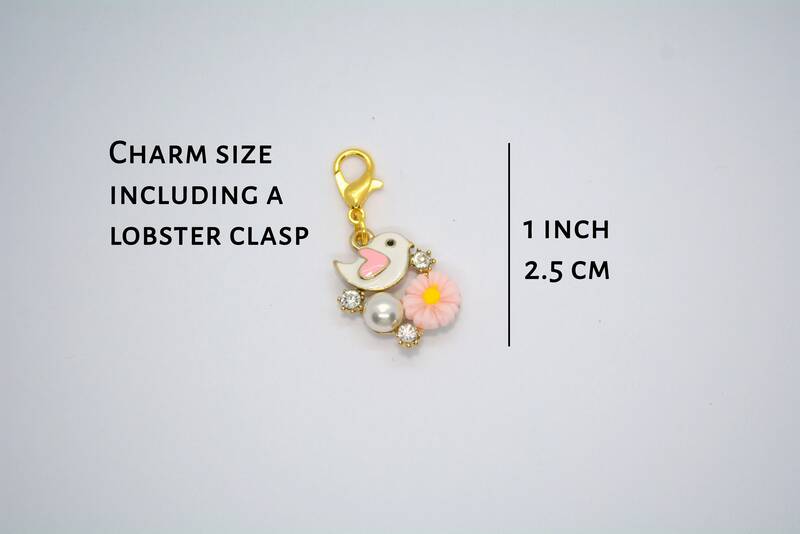 A bird charm or a bell.